DAVID LE/Staff Photo. 2/12/15. 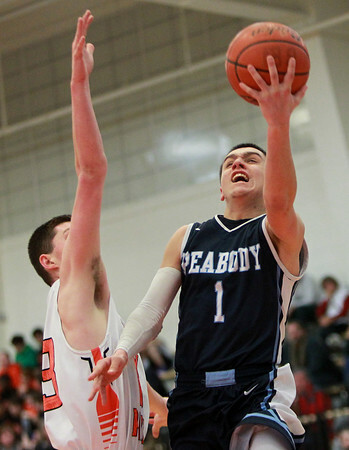 Peabody senior guard Matt Correale (1) glides in for an easy layup after sidestepping a Beverly defender on Thursday evening.